Cass County is located in Michigan’s fruit belt. Here you will find rolling farms and abundant orchards that produce the fruits and vegetables that are sold at roadside stands and farm markets throughout the county. Many of the local farmers’ markets are seasonal, but some are open year-round and are well supported by county residents committed to “buying local.” From mid-summer through late fall there are also many places to pick your own fruits and vegetables. Check out some of Cass County’s Orchards and U-pick farms. 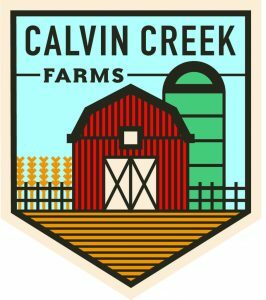 Calvin Creek Farm is a “CSA” farm. “CSA is an acronym that stands for Community Supported Agriculture. The general idea of a CSA is that community members pay an annual fee to support a local farm, and in exchange for that financial support, the farmer returns a share of the harvest for that year. The farmer and the CSA shareholder share the risks of the growing season. Calvin Creek Farm offers fresh produce, organic and pasture-fed meats, and free-range eggs. Patrons can register daily for the monthly drawing, which awards a $25 farm market gift certificate to the winner. Located in the heart of Cass County Michigan, Dussel’s Farm Market is committed to working with and supporting local farmers and business owners. Dussel’s Farm Market is open year-round and offers complete landscaping services, and four large greenhouses filled with seasonal plants, flowers, and hanging baskets. Dussel’s also offers custom floral services through the market. Holiday offerings include centerpieces, Poinsettias, holiday gift baskets, fresh cut trees, potted trees, fresh wreaths, and garlands. 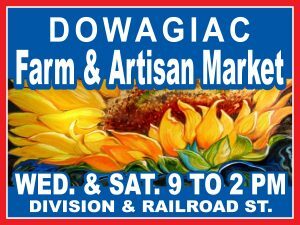 Description: Information about Marcellus Farm Market will be posted when available. Roseland’s 1000-acre family-owned certified organic farm is operated by Lincoln, Shell, and Toby Clark. Roseland Organic Farms is presently certified by Indiana Certified Organic (ICO). We raise certified organic grass-fed beef. On-site for wholesale & retail sales. Frozen organic beef, chicken & turkey always available. Also organic grocery items, dairy, eggs, and fresh produce in season. Description: We are a fruit farm and market located in southwestern Michigan near the Sister Lakes area. We have fresh produce all summer long with U-pick raspberries in the spring and fall. Get your blueberries, peaches, nectarines, Sweet cherries, Plums, Tomatoes, and Sweet corn from Sprague’s Family Fun Farm. There are restroom facilities available. Hours: Open everyday 9 am – 7 pm. Call for U-pick times. Come see the six and a half acre corn maze! Hay rides and Pumpkins in the fall. Butler’s Tree Farm opens the Friday after Thanksgiving for families wanting to choose and cut their own trees. There are 8 varieties of Christmas trees to choose from, ranging in price from $25 – $85. Precut trees start at $20. They also have a variety evergreen wreaths and holiday greens for decorating your home. Check the Butler Tree Farm website for times when Santa visits. Credit cards or cash only!